4 Bedroom House For Sale in for £335,000. This property is part of our Chain Free Property promotion. Help To Buy Now Available - Ask For Details!! Fantastic three and four bedroom houses now available to view. 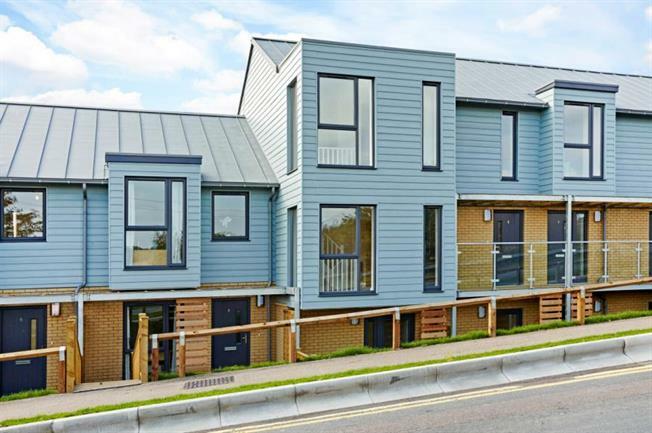 2 and 3 bedroom duplex apartments alongside 3 and 4 bedroom townhouses has been finished to an exacting standard and offers contemporary styled kitchen and bathroom suites. Unique features include open plan entertaining spaces, townhouses with ensuite to master bedrooms, glass balcony, terraces, outdoor garden spaces and allocated parking. the HS1 link to London in under one hour, ideal for the city commuter or investor. In the summer, you have the choice of many picturesque, award winning gardens to visit as well as the many cosmopolitan festivals such as the Canterbury International Art Festival or the Canterbury Food and Drink Festival located in Dane John Gardens. Please note that internal photos are of our Show Home and are for indicitive purposes only. Terms & Conditions may apply to incentives and Help to Buy, please ask for more details.